Bestowed with a fine medley of culture, cuisine, history, and natural splendor, Europe is an amazing continent for memorable travel experiences. However, one thing that holds back people from visiting Europe is that the destinations seem too expensive. 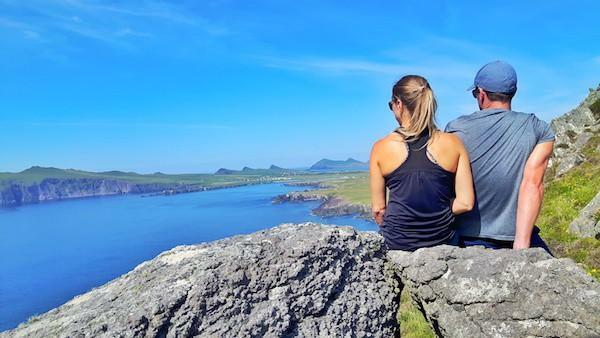 Popular European destinations usually don’t tempt frugal travellers because they fear their vacation would become a spendthrift experience dampening the holiday mood. It is time to broaden the mind and look beyond hyped up European destinations like France, Austria, and Switzerland and look for offbeat places to visit in Europe that will give you the same amalgam of European essence without having to spend a lot of money. 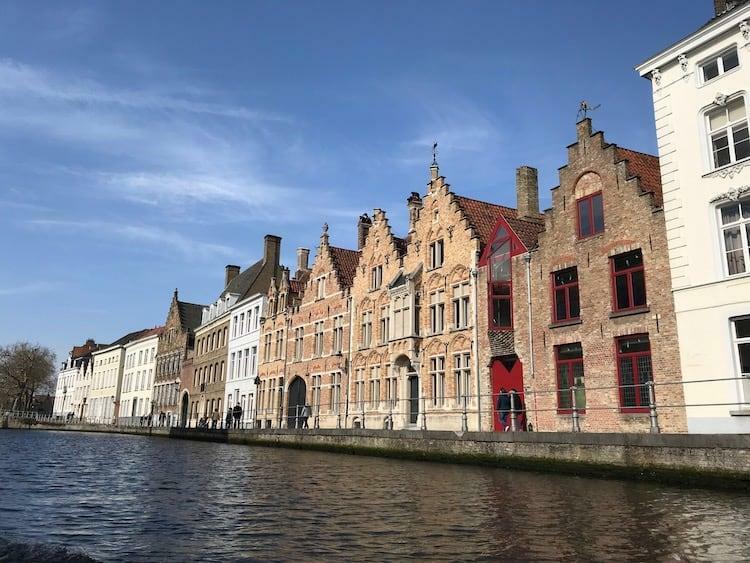 Here’s a list of our top selection of budget friendly places to travel in Europe for you as a reference for a wallet-friendly European vacation. Czech Republic has a rustic charm in its townships and the city of Cesky Krumlov captures the essence of its historic Bohemian vibes with élan. This picturesque UNESCO World Heritage Site set on shores of Vlata River is brimming with Baroque, Gothic and Renaissance styled structures with some of the best intricately designed iconic architectures you can witness in Europe. While tourists are only familiar with Prague, thus making it an overcrowded city, Cesky Krumlov offers a mellowed surrounding with historic ambiances that feel tranquil and less expensive than the capital city. Being a petite city, Cesky Krumlov’s wonders can be marveled on walking tours which is a great way to cut travel expenses. 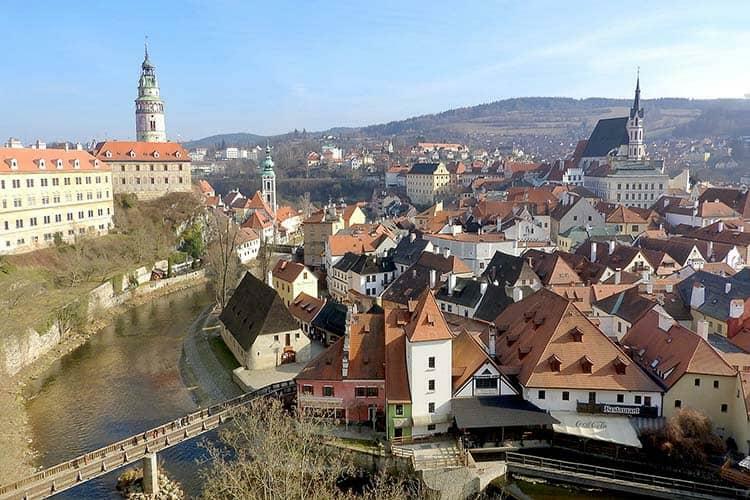 Basic average cost for a day in Cesky Krumlov is approximately US$ 55. Accommodation – A dorm room per person will cost around US$ 16, a double bed private room around US$ 25 per person. Travelling locally costs around US$ 2 to 3 per person per ticket. Stretching alone River Danube, the cities of Buda and Pest together form an amazingly scenic capital of one of the best destinations in Europe – Hungary. Immersed in a rich heritage of bygone era, the city’s popular sites such as the Royal Palace, Mattias Church, Parliament Building, and The Great Synagogue will allure you with its historic charms. And that’s not all! Budapest offers its visitors a mind-blowing range of leisure experiences at a value for money prices. Even a day at a lavish thermal bath experience which is one of the popular leisure experiences in Budapest for tourists costs merely US$ 10 per person. 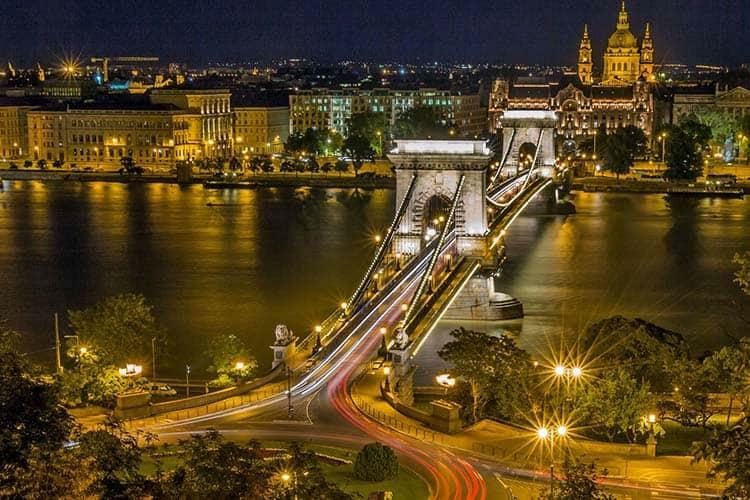 Basic average costs for a day in Budapest is approximately US$ 93. One day meal cost – around US$ 20 per person. Bottled water – US$ 1. A short taxi ride – US$ 10. Accommodation – Budapest is popular for its hostel stays as budget options for travellers. A good hostel costs approximately US$ 16 per person for a dorm room and US$ 25 per person for a private room. The second most famous city in Portugal – Porto is a charming hilly township that stretches along the River Duoro. A fascinating destination teeming with rich culture, interesting architecture, and friendly people, Porto’s streets are made for wanderers. The alleys and waterfronts along with its sublime assortment of street side cafés and local restaurants, Porto invites you to enjoy its ethical and historical charms on foot. A stroll through the city’s ambiance of modern and medieval fusion will not disappoint you; in fact, it will keep you excited with inspiration at every nook and corner. Your taste buds are in for a treat here in Porto as it is crammed with amazing epicurean delights and wines at a steal. A cup of coffee costs less than a dollar and you get to delve on a delicious seafood palette for just US$ 5. 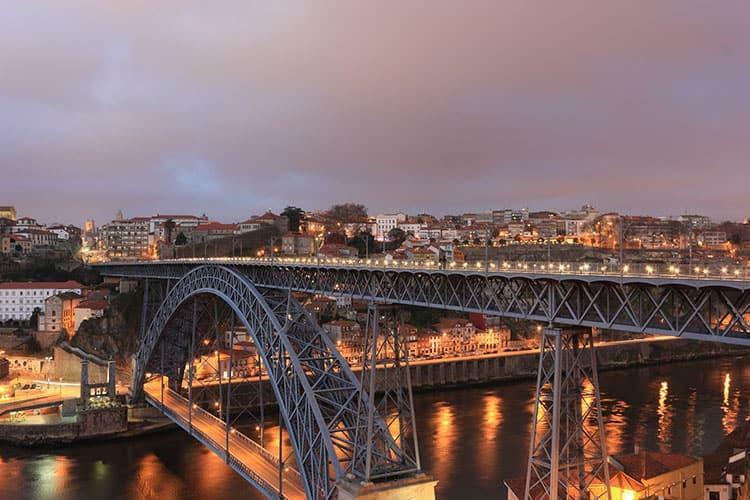 Basic average costs for a day in Porto is approximately US$ 100. A full day meal cost – around US$ 25. Accommodation – A double room in a budget hotel costs around US$ 55 – 60 per person. Local Transportation – around US$ 10 to 15 per person per ticket depending on the service option. A beautiful country nestled on the edge of the Baltic Sea, Poland is an idyllic option as a place to travel in Europe for budget-friendly leisure escapes. This Eastern European country is a kaleidoscope of gorgeous countryside, Jewish architecture, and Polish culture. Although Poland is one of the cheapest European destinations to visit, in recent years it has captured the attention of globetrotters. Within Poland, Gdansk is a hidden gem on its Northern region which was once razed during World War II but rebuilt into a beautiful port city. It is now a popular beach destination in Eastern Europe and also a much sought-after spot for frugal travellers. Being a compact destination, it is easier to explore the city on foot. The township has a variety of option regarding food and dining, but if you are looking for a decent meal at reasonable prices, then you can head to milk bars such as Kmar Bar Mleczny and Bar Neptun for delicious Polish meals. 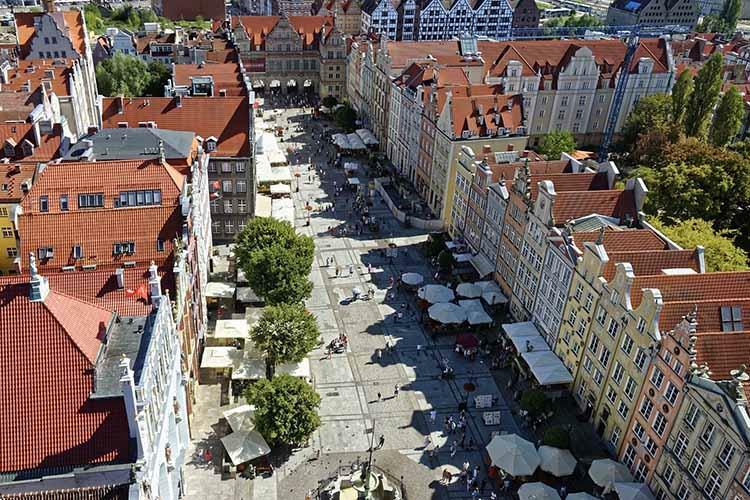 A basic average cost for a day in Gdansk is approximately US$ 76. A full day meal cost – around US$ 22. Accommodation – A hotel stay for a couple costs around US$ 90. Italy is one of the best European destinations to visit for leisure travellers. 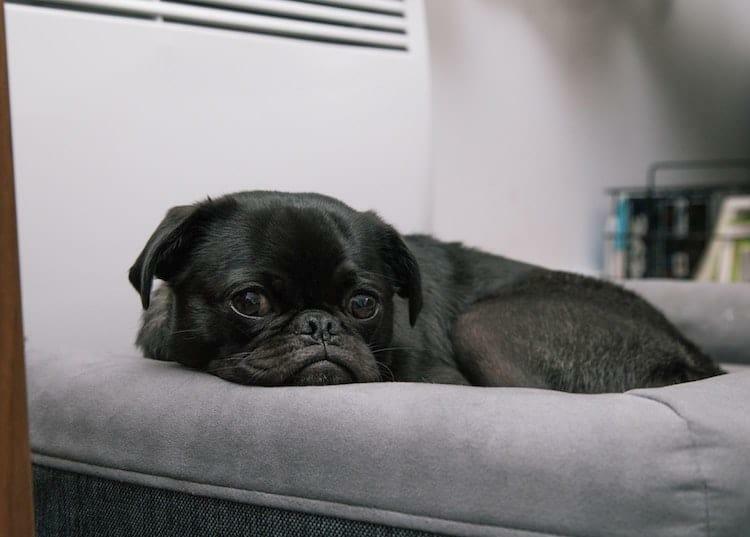 However, most visitors tend to travel to hyped destinations such as Rome, Milan, and Florence which are already overwhelmed by tourists and as a result have services at exorbitant prices. Venture beyond these Italian cities far into the countryside and coastal towns and you will discover much more than the remnants of the renaissance era. The Southern regions of Italy are less expensive and have fewer tourist crowds when compared to Northern Italy. 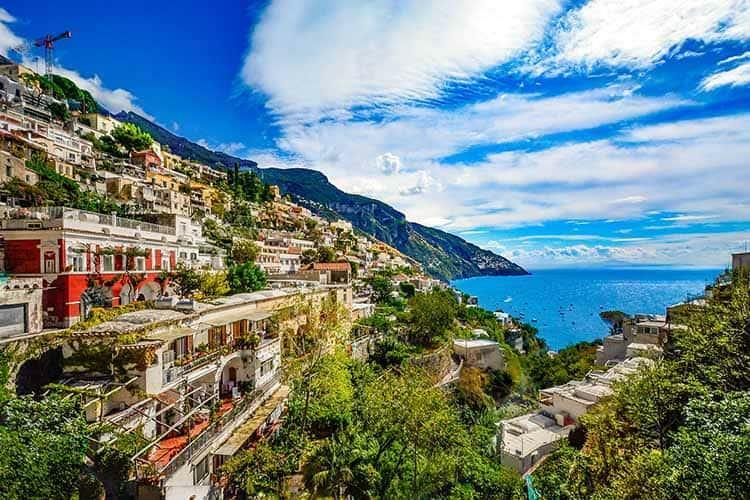 So, if you have an Italy tourist visa and are heading to Italy on a European vacation, try choosing an off beaten experience with a trip to Positano in Southern Italy. Basic average costs for a day in Positano is approximately US$ 214. Accommodation – A hotel stay for a person per day costs around US$ 140. A local bus ticket cost – around US$ 2 per person. Pizza in a restaurant – US$ 10 per person. Spend money on experiences, not things. You may get tempted to go on a shopping spree and buy clothes, hats, and memorabilia and so on. It is best to curb on such expenses and spend on experiences that would make your holiday a memorable one. Look at off-season periods to visit a particular region. Our best tip is to avoid peak seasons when prices skyrocket and plan your travel around the time when high season ebbs away. This way you can explore the place with fewer crowds and gain discounted prices on most facilities. Try to be like the locals and do as they do. Travel locally, choose local guides for your tours, and eat at local restaurants, rather than in classy fine dining restaurants. For accommodations options, you can opt for B&Bs or homestays that can drastically reduce your accommodation budgets. If there is a city pass or a transport card available, then make use of those as they provide the services at discounted rates plus certain sightseeing are included in the pass free of charge.